Bring your loved ones together this holiday season with festive fare that is sure to end up as family favourites. Our talented culinary team is pleased to share their Turkey and Cranberry Brie Strudel and Sugar Cookie recipes with you. The Turkey and Cranberry Brie Strudel is featured on the Seasonal Afternoon Tea menu and gives you those traditional tastes of the season. Add all ingredients into a sauce pan, bring to a boil. chutney lengthwise (there will be leftover chutney). Place 1/3 of the turkey filling recipe on top the chutney. egg wash, and bake at 400°F for 16 minutes. Portion each strudel into 8 pieces. 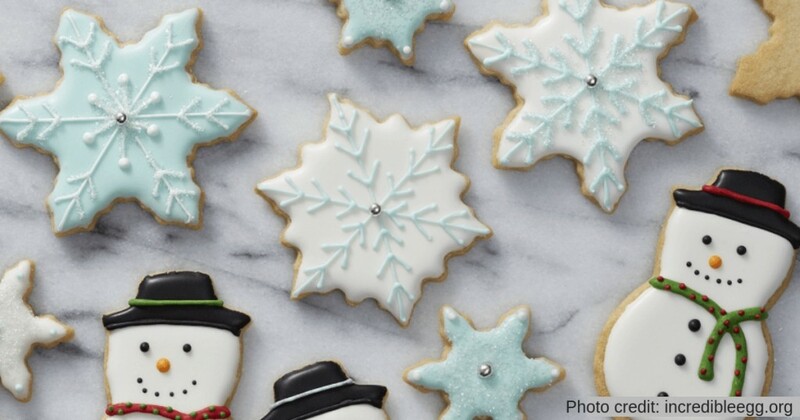 The Sugar Cookie recipe gives you the basics for perfect cookies and icing and leaves it up to you to decide how you choose to add your own festive flare. after each egg is added. Remove from bowl and roll out approximately ¼ inch thick. Cut desired shapes, re–rolling the remaining dough until it’s all used up. and edges of cookies are golden, approx. 10-12 minutes. Cool completely then decorate as desired. Add cream of tartar and continue whisking until stiff peaks form. Add icing sugar and 1 cup water. Mix until smooth and fully combined. for icing to fully harden.